CKAB provides the automotive industry with products and systems improving safety,comfort and styling. 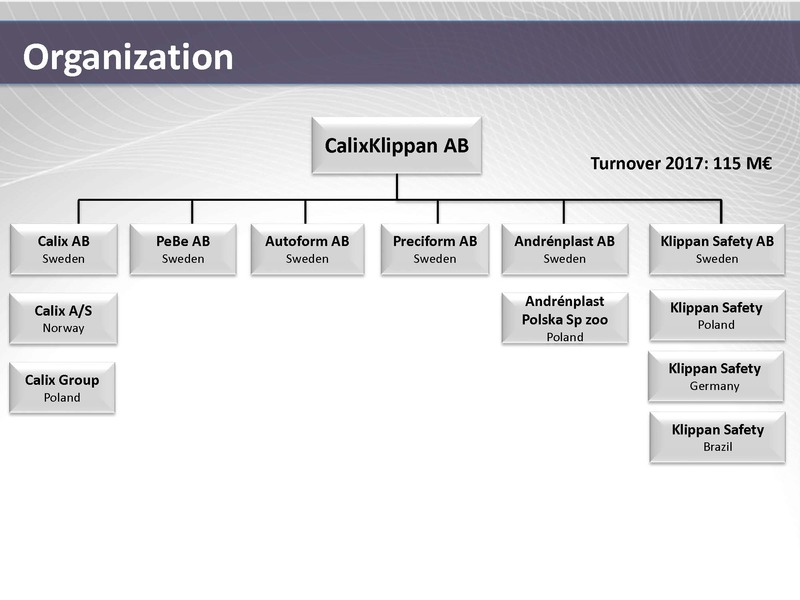 CKAB is a privately owned Swedish group with customers all over the world. The major part of our business is directed to the automotive OEM industry, supplemented with aftermarket accessories and products. The OEM projects are carried out from a product development phase via industrialization and manufacturing to delivery. In the aftermarket, the accessories and products are mainly distributed under the Calix brand. We support our customers with skill, experience and state-of-the-art production facilities which result in quality supplies.